The first Iberian Lynx has been transferred to the new captive breeding programme at Silves in the Algarve region of southern Portugal. Moreover, a further 15 more lynx are planned to be transferred to Silves from breeding centres in Spain during November. The Silves centre is the first Iberian Lynx breeding centre to be opened outside of Andalucia in southern Spain, and this first lynx represents the first confirmed presence of the species in the country for a number of years, albeit in captivity. SOS Lynx thus welcomes this development and looks forward to more future progress in captive breeding in the future. Individual Iberian Lynx may still survive in the wild in Portugal, either as remnants of past populations, or crossing over from known wild populations in southern Spain. However, the long term recovery of the species in Portugal will likely require captive breeding and reintroductions, along with habitat conservation, reductions in predator persecution and the recovery of wild rabbit populations. 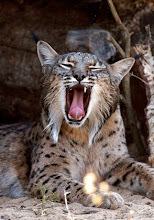 Lynx bred and raised in captivity in Portugal will form part of the unified management of the Iberian Lynx captive breeding programme, across the Iberian Peninsula. Lynx in Silves could thus be reintroduced in either Spain or Portugal, depending upon progress made with preparing adequate reintroduction areas in each country. This, in turn, will require identifying and preparing areas with adequate prey and habitat, and a supportive local human population. For more info, please see the website of ICNB (in Portuguese). 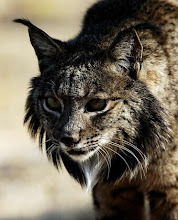 SOS Lynx is a non-profit organisation created in 2000, dedicated to the conservation of the Iberian Lynx and associated predators, prey and habitat. The organisation works mainly through education, research and campaigning, in Portugal, Spain and at the international level.